Our goal is to make traveling to the Island Puerto Rico affordable to all. We offer a very nice clean charming private apartment in a neighborhood near the beach. We are a small family with a colonial style house. We love for people to experience Puerto Rican life. 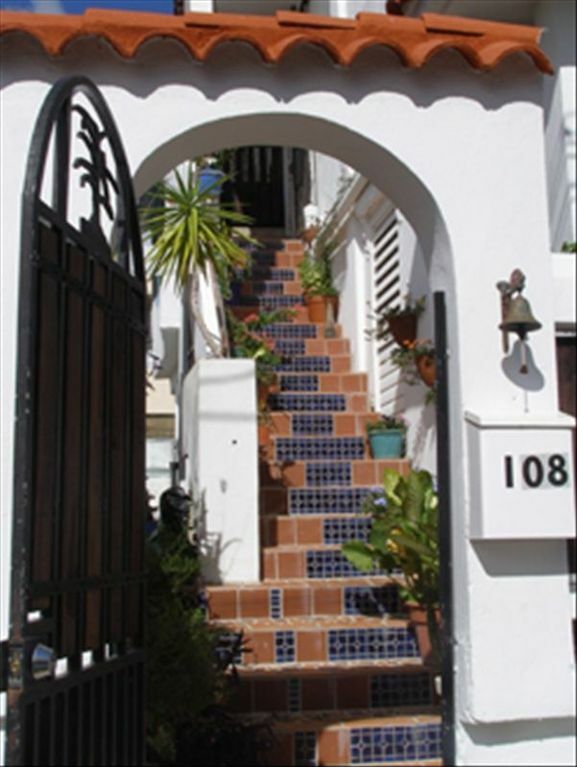 In a real puertorican neighborhood walking distance to touristic areas. once a week cleaning, on request . ( FREE) bring your own computer!! Beautiful and secure property!! Very clean and well kept! Owners were too kind and amazingly accommodating!! Sean picked us up from the airport and took us on a brief tour of the neighborhood and surrounding area on our way to the apartment. He even gave us some recommendations on things to see and where the best snorkeling was. Only the bedroom has AC but with all the windows open, the heat was not a problem. Americans, I have seen a few reviews that complain of the bars on the windows. This is the culture of PR. You will find this all over the island, so chill. Neighborhood felt safe and I went out alone at night and was fine (I'm a small white lady). If you stay here, you MUST go around the corner to Da Luigi. You won't regret it!! Will definitely stay here again and recommend to all my friends. Thanks Christiane and Sean for making our honeymoon so enjoyable and for answering all our questions!!! Many blessings to you!! Will choose to stay here again! Owners have presented this property accurately. It is an experience in the local community, not a spa or resort. The rooms were clean and comfortable. Being picked up at the airport was so convenient. And, the owner's quick tour of the neighborhood helped us to scope out what we wanted to do. Beach is very close as well as a wide variety of restaurants and shops and even a grocery store. Public transportation just was a short walk. And taxi service is reasonable and easy as well. Though there were a couple of properties that were not as well maintained as Eco-Posada, I felt safe and comfortable (two retired female art teachers--no hubbies on this visit). Owner's are pleasant, extremely helpful and always there when ever we had questions. I picked this location because of its appearance and the short distance to the beach. I had been to Puerto Rico before, so I knew what things I wanted to see and do. Getting around town without a car wasn't hard because of the buses (75 cents) and taxis at reasonable rates. I also did some walking as the grocery store wasn't too far away. The owner of the property had several places he recommended. By the way, transportation to and from the airport was provided. The bedrooms were kept cool by ceiling fans and small air conditioners in each one. No air conditioning in the kitchen area, but there was a ceiling fan. I absolutely loved all of the handmade tiles in the kitchen and bathroom. Very artistic. Everyone around the area was friendly and I felt safe, happy, and very relaxed. I would recommend this place to anyone who wants to visit San Juan. I admit the place was very inexpensive, and it is worth what you will pay. But neighborhood is not very nice and the place is in need of upkeep. There were actually window panes missing in the jalousie windows and almost all of the cranks to open the windows were broken. The tile floor is chipped everywhere and needs to be replaced, and there was even a cover missing on an electrical outlet. You will need to go right away and get toilet paper and paper towels. The owner was nice and helpful and the place was clean. They do include a pickup from the airport, which was very convenient. You are just getting what you pay for here. If I were to return to PR I would spend more money for a nicer place. Rented the 1 bedroom upstairs for a week, nice and quiet. Great A/C and very comfy bed. Love the area & restaurants near buy. (Italian restaurant near, Peruvian too and tons of the local food too, all very near). The most outstanding part are the owners which will guide you and even provide a ride to and from Airport to Eco Posada.